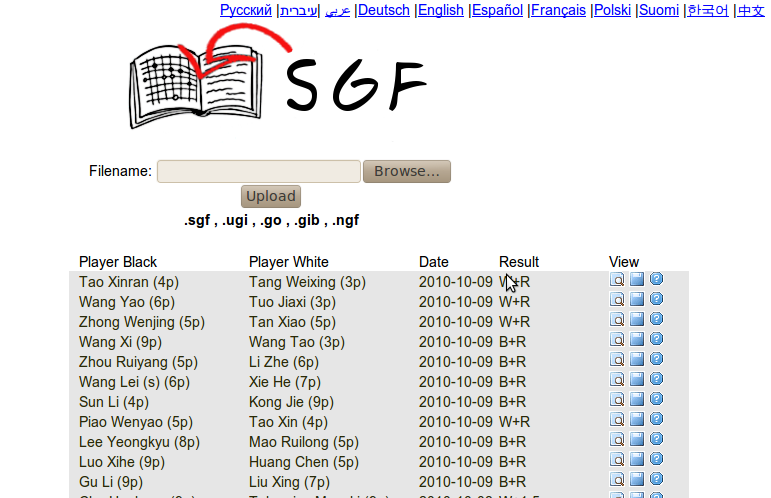 13-03-2010 I have opened first version of Gokifu. The first design was very simple. I have received many positive feedback and suggestion about website . Currently there are more than 20-000 pro games in Database . In progress more games ,when i will have more time. If you have any pro sgf’s collection just send me ,to info at gokifu.com .